Dec30December 30, 2015 • By milkandbun • This entry was posted in Dairy, Desserts, Festive Cooking and tagged cooking, dessert, festive cooking, festive dessert, food, food photo, food photography, food styling, holiday cooking, holidays, panna cotta, photo, photography, recipe, rosemary dessert, vanilla panna cotta with mandarin garnish, winter treat. Bookmark the permalink. It looks delicious and l love the presentation, very nice! They look just too cute – what a wonderfully festive presentation! You have such talent, Mila, it is always a pleasure to visit your blog and be inspired. Thank you for partying with us over at Fiesta Friday, over several continents, really. Hello Juju! Sorry for the late reply. You can set “snowflakes” in your blog too, it was somewhere in settings I guess, unfortunately I couldn’t find it now, I did it a long time ago, once you do it- it will be automatically on. Try to search it on the net. Yeap, preparing meals ahead of time make our lives much easier! 🙂 Thanks a lot for your comment! Very pretty! I would never have thought to combine pan a cotta with oranges or any kind! But it makes sense! Love that cookie, too! Happy New Year! LOve the presentation Mila! So, so gorgeous!! Happy New Year! What a beautiful dessert for the season, Mila! 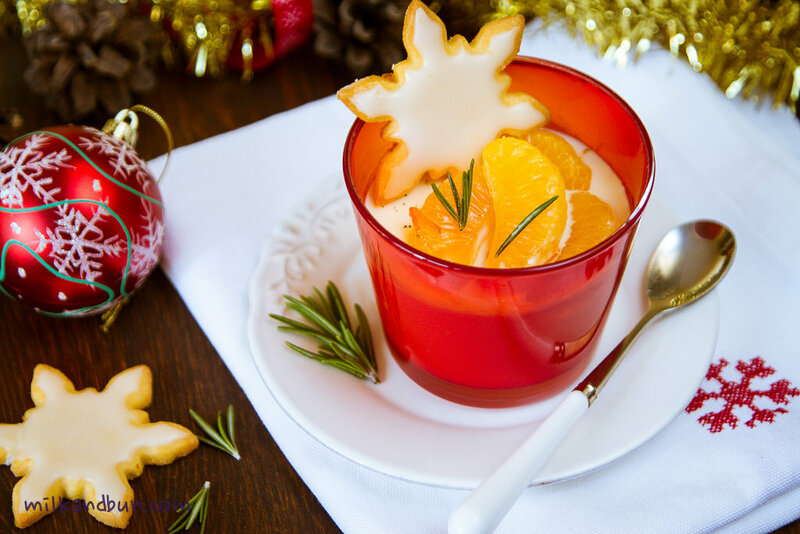 Panna cotta is one of my favorite desserts! 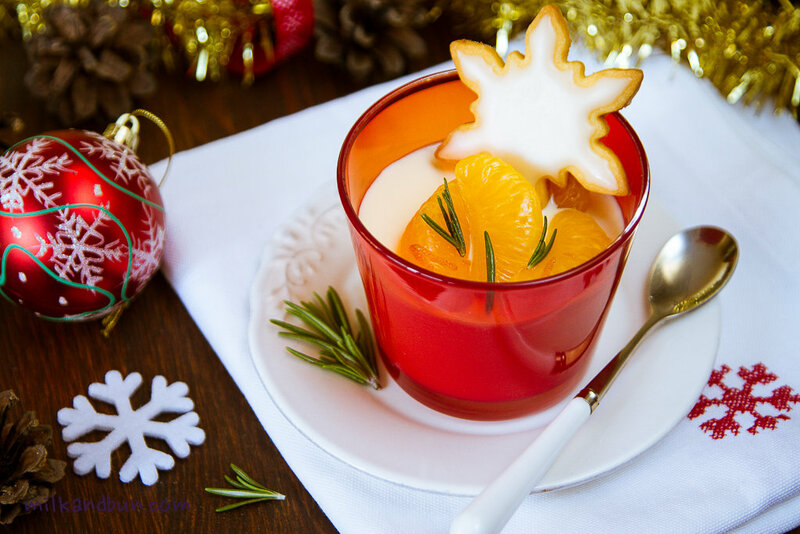 I love panna cotta and I really liked the way you decorated it, simple and festive. Thanks for sharing and happy New Year! Mila, you are not kidding that is a beautiful presentation! I have never actually ever had or made panne cotte – I always have meant to, but I never think of desserts like this until it’s time for company – and thanks to you, I’ll try it! Thanks for bringing this to Fiesta Friday and Happy New Years~I’ll be pinning this to the FF board, just in case no one has yet! What a simple, gorgeous and delicious looking dessert! Holidays are very special indeed! Happy New Year and Happy FF Mila! 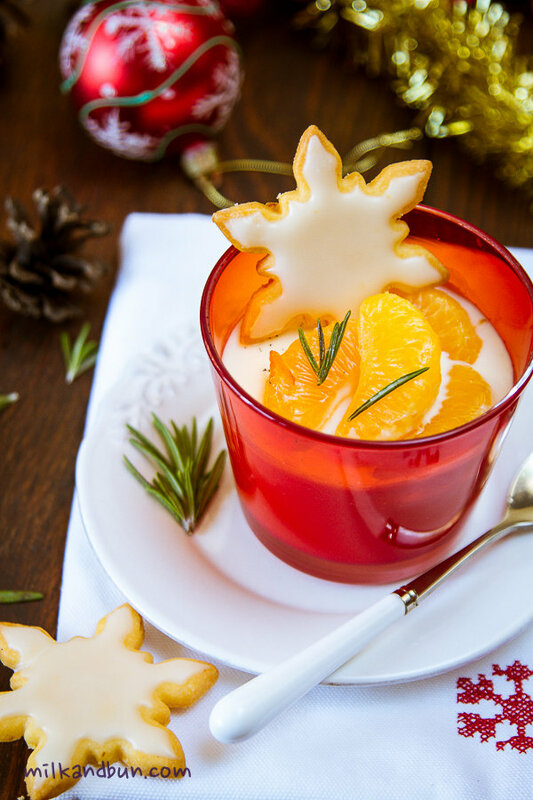 Your panna cotta looks so pretty and festive! Great pictures too!